As many of my clients report, an increasing number of fertility doctors are now prescribing Femara instead of Clomid for infertility related difficulties, ovulation induction and unexplained infertility. The Femara infertility connection has indeed become increasingly worrisome. Femara has been approved by FDA for the treatment of local or metastatic breast cancer but in 2001 it became yet another drug with an off label use for infertility issues such as unexplained infertility, ovulation induction, PCOS treatment. Ironically the manufacturer has issued letters to fertility doctors in Canada and the United States reiterating that it is not approved for such a use and is not safe to use with pregnant women or women who may become pregnant. The debate among fertility doctors centers around the idea that when it comes to ovulation induction—Clomid, the ‘aspirin’ of fertility drugs with its track record of initiating pregnancies in 35% of patients who have been administered up to six cycles of Clomid—is just as good if not better than Femara. Many fertility doctors dismiss the 2005 Canadian study which suggested that babies born after Femara use had a three-fold increase risk of birth defects as flawed and inconclusive. I wonder whether they’d overlook the wrinkles of the study if it had shown Femara to be beyond reproach. More importantly, how many studies have we seen that don’t call for ‘further research’. Some fertility doctors are reported to be refusing to prescribe Femara, warning patients about the increased risk of birth defects related to the use of the drug. So what is the great excitement over Femara ultimately about? As I see it, it’s one more magic pill to try when other attempts to push your tired body into baby making mode have failed. Now there is one more carrot to dangle in the faces of wannabe moms. 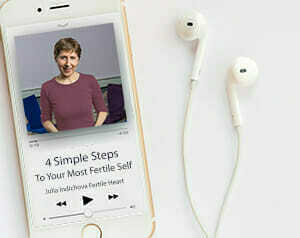 In a recent article on the subject, Dr. Daniel Shapiro, a fertility doctor connected with Reproductive Biology Associates writes: “… in the end patients with anovulation or unexplained infertility should be encouraged to try oral agents as first line therapy, but because of low success rates, not the risk of the drug, patients should abandon oral drug therapy quickly for more aggressive management when the pills fail to make a baby”. My suggestion for a first line treatment would be slightly different from that of Dr. Shapiro. For close to a decade and a half I’ve witnessed women go through years of unnecessary cycles of pharmaceuticals, and failed in vitro fertilization treatments, and then—after giving their bodies and hearts adequate attention through a lifestyle overhaul, and a bit of sincere soul searching—conceiving naturally. So based on what I’ve seen to be true with hundreds of clients, and experienced (after my own hopeless diagnosis) in the exquisite laboratory of my own body, I say: When it comes to making babies, if a fertility drug can help you get pregnant, chances are your body’s inner pharmacist can come up with a much more effective, far less questionable version of a remedy. Certainly you and your body deserve a chance to try. The Femara infertility connection begs to be carefully reviewed. If your fertility doctor is suggesting you use Femara for ovulation induction, or to resolve unexplained infertility, be sure to get a second opinion. Better yet, look for guidance to your most trusted inner fertility specialist. Two women in the Fertile Heart™ community shared their experience with Femara. Copyright Julia Indichova and Fertile Heart™. Health Canada Endorsed Safety Information on Femara, November 2005, click here for the abstract.